This roadworthy Banjo Case by On-Stage is made from durable nylon material and features a custom molded, plush-lined interior providing security and protection. It's designed for four, five or six string banjos and features a heavy-gauge two-pull zipper that makes opening and closing easy. 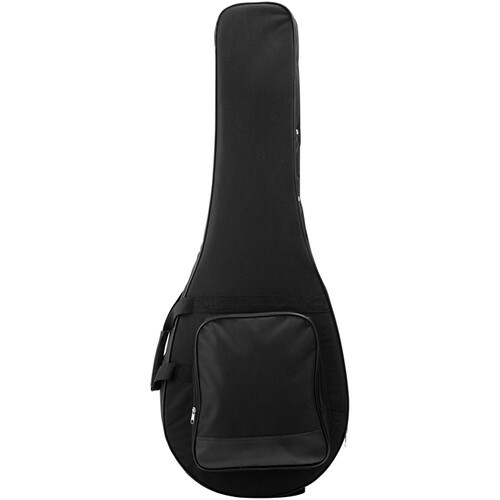 The bag can be carried using the two carry handles or adjustable backpack-style straps and the large, exterior accessory pocket is perfect for storing picks, strings, cables and more. Box Dimensions (LxWxH) 43.8 x 16.75 x 7.5"